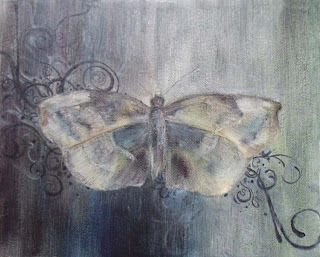 When I first moved down to Freeport after college, I started a series on very small birthday butterflies/moths that I never did anything with. Since it is currently my birthday month, it is appropriate to revisit the amethyst butterfly that I jazzed up a little with some swirls. 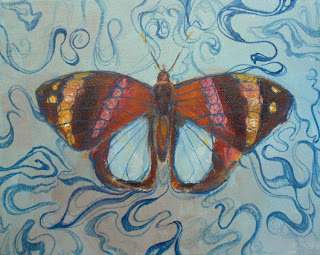 I am also adding a miscellaneous piece that belongs to the butterfly set, however never felt like it belonged.